The Resident Theatre Company is proud to bring its first fully produced musical Monty Python’s Spamalot to West Chester! Based on the 1975 film, Monty Python and the Holy Grail, Spamalot is a TONY award wining play, receiving 14 nominations and claiming 3 including the TONY in 2005 for Best Musical. This hilarious and critically acclaimed play is coming to our beloved Chester County and we want to see you there! Opening night of Spamalot is March 31st, and tickets are already flying. Performances will take place through April 16th at the Knauer Performing Arts Center, located at 226 N. High Street. Tickets for all shows can be found on the RTC‘s website here. The RTC is staffed with amazing and talented people, including Kristin McLaughlin Mitchell. This Broadway veteran is now directing Spamalot here in West Chester. Bringing her 20 plus years of New York theatre experience to Chester County and the Mainline, you definitely don’t want to miss out on her shows. 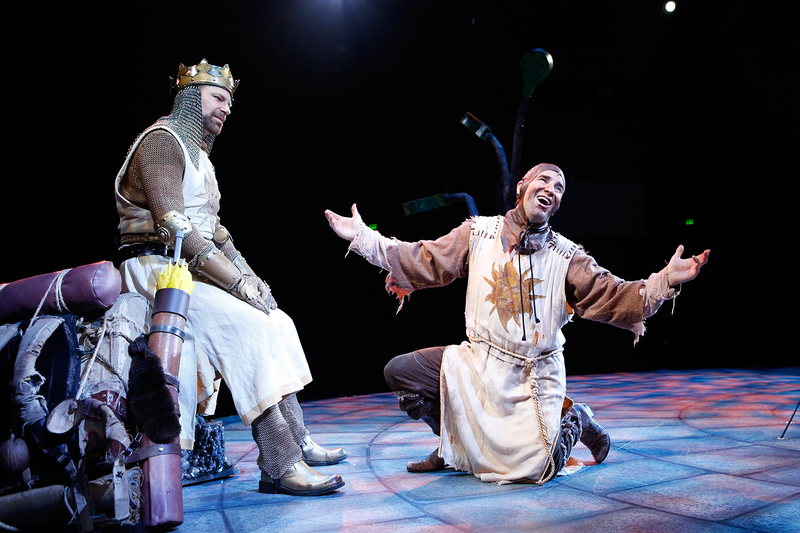 Right now, Mitchell is looking to cast New York and Philadelphia theatre pros to fill the roles of King Arthur of the Britons, Sire Lancelot, the Homicidally Brave, sir Robin, the Not-Quite-so-Brave-as-Sir-Lancelot, and many more. 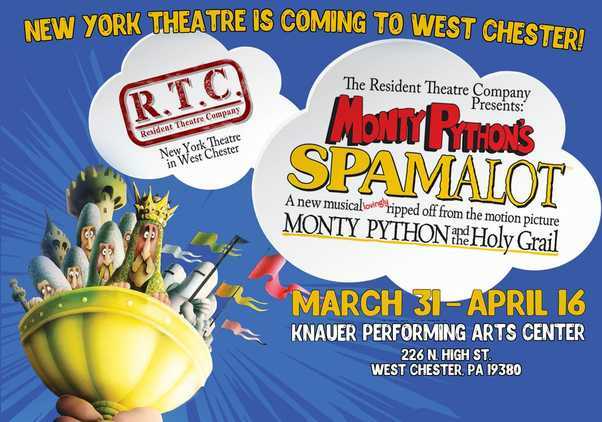 For more information on the Resident Theater Company, Spamalot and professional theatre in West Chester, contact Jennifer Moyer Smith at jenn@rtcwc.org. Broadway theatre in the comfort of our home of Chester County, what more could you ask for? Don’t miss out on the chance to see this hilarious play. Buy your tickets today!